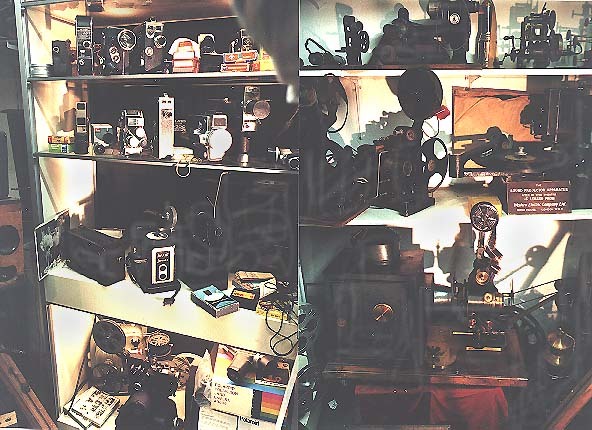 The following are clickable images of some cameras and projectors I have hunted down through the years. Some of which I am sure you will have never seen before. Tin with Lumi&grave;re 35mm film 1 perf. per frame. 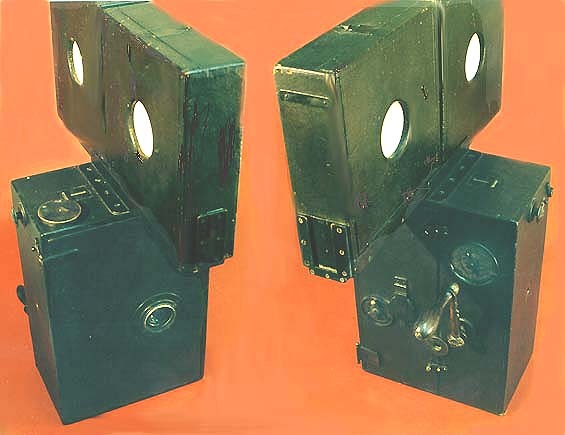 For 17½mm film with perforations in the center between the images. 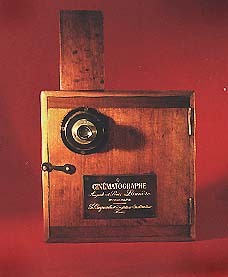 This camera for middle perforated 15mm film appeared in 1900. 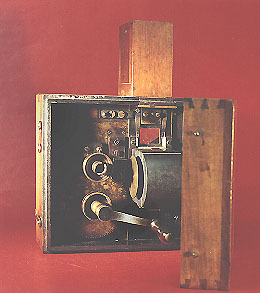 Shown are mechanism and body of the camera. I bought this 35mm hand crank camera at a German auction. 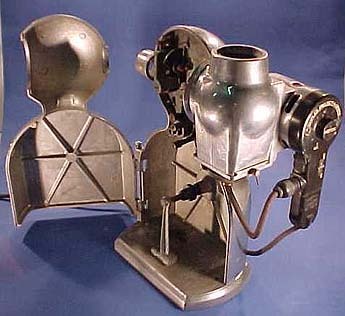 It was described as being manufactured by Alfred Darling in 1907 in Great Britain. But I have yet to see this model camera described anywhere. It has a Ludwig, Dresden 3.5/50mm lens, which points at a German origin. 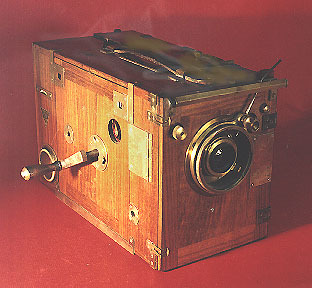 Kinora camera for rolls of 1-inch paper or celluloid film. 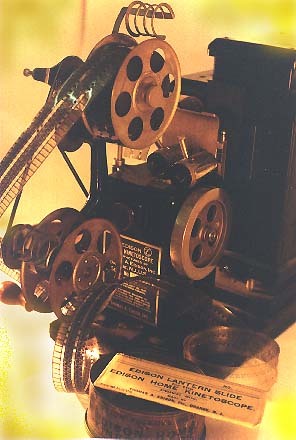 The exposed rolls were processed and printed by Kinora Ltd., and made up into flip-book reels for use in their Kinora viewers. In the background an English (Warwick) projector of 1906. 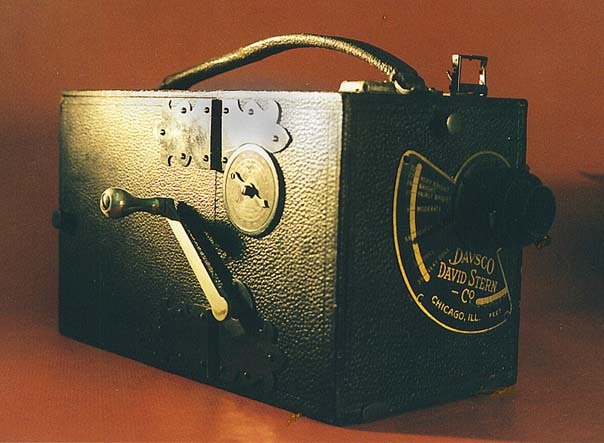 Many early film productions were made with this camera. 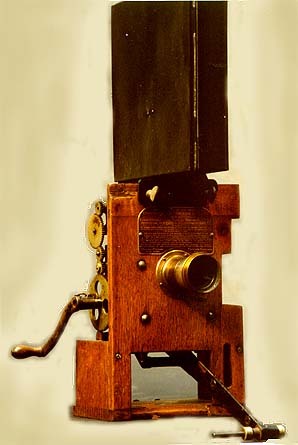 David Griffith used it in 'Birth of a Nation'. 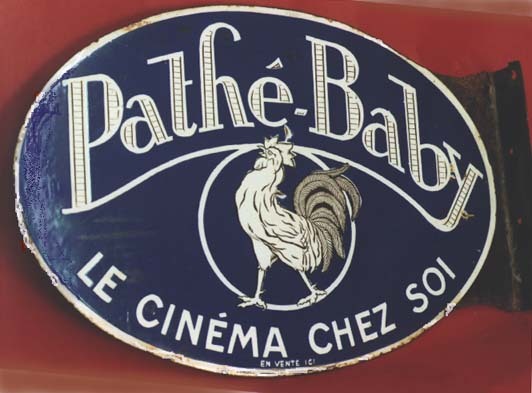 Pathé Studio used around the same time indoors. 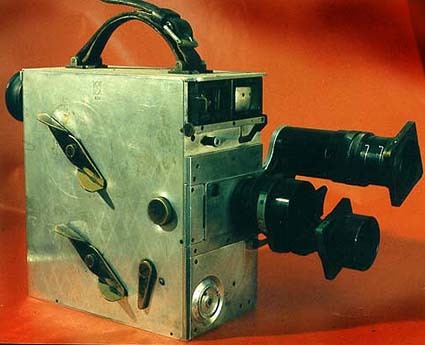 This 35mm camera (here equiped with telephoto lens) was affectionately called the 'pancake'. 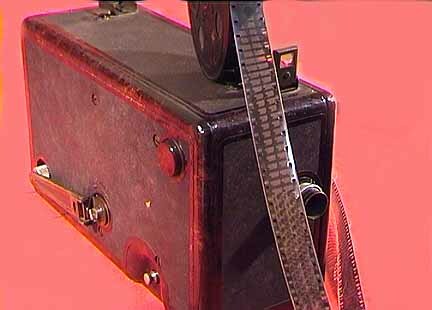 It was the favorite of many wild life and newsreel cameramen for its sturdiness until after WW2. 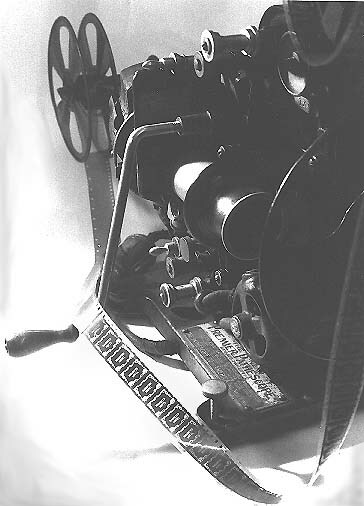 Robert Flaherty used it in 'Nanook of the North'(click) and the "Louisiana Story". 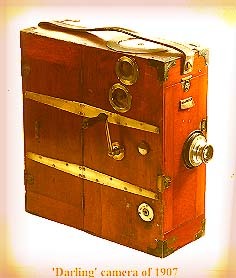 Of this Italian camera tipo B few must have been made around 1918 as this one, which I bought in Argentine, is numbered 67! It has a Cine Sideran, Koristka, Milano 3.3/50mm lens. 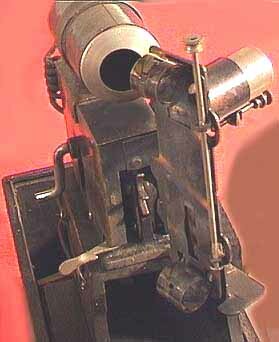 I am not quite sure whether this is model L manufactured around 1915. 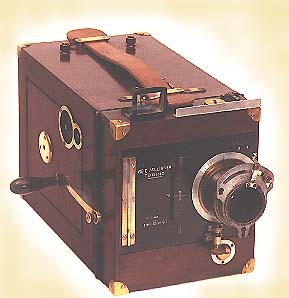 This was a most popular camera. 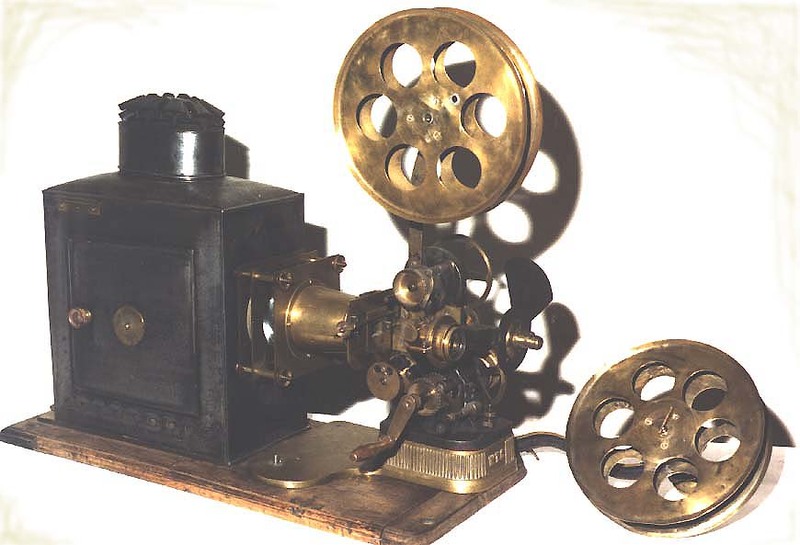 With 'le Parvo' countless famous movies have been filmed, such as Abel Gance's 'Napoleon'. 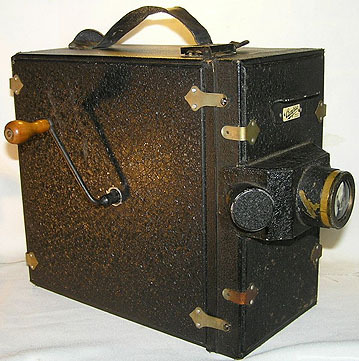 There is very little information available about this camera of around 1920. 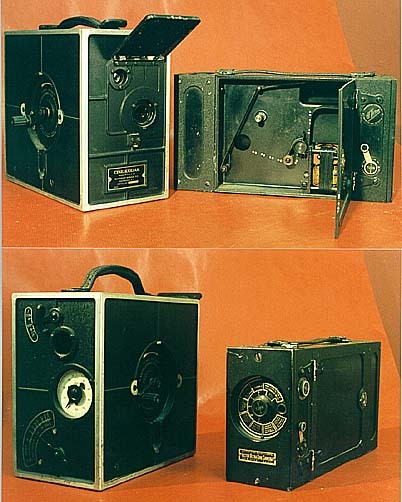 Amigo model A camera Tropical camera for 60m cassettes manufactured in 1921, lens Rüdersdorf, Berlin 3.5/4cm. 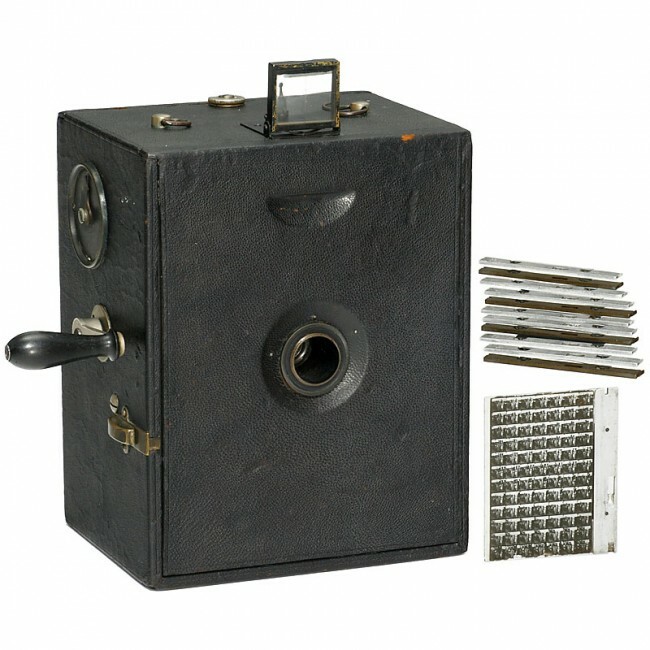 Le Seul 1921 camera using glass plates for photographing rows of 3,5x5,5mm images on it. 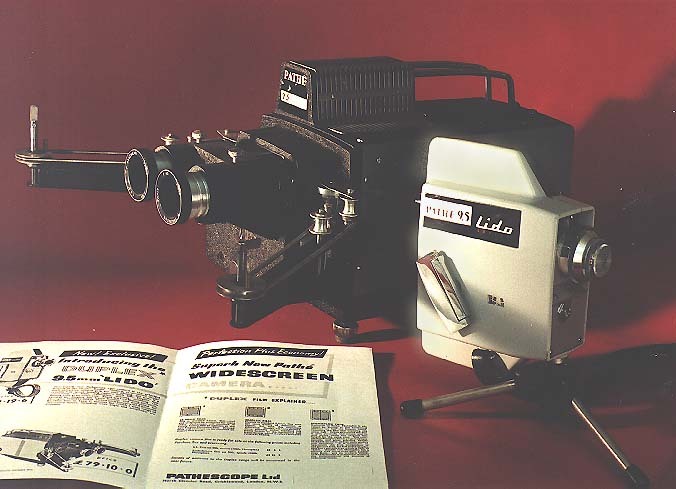 Could also be used as a projector for showing the animated images on a screen. 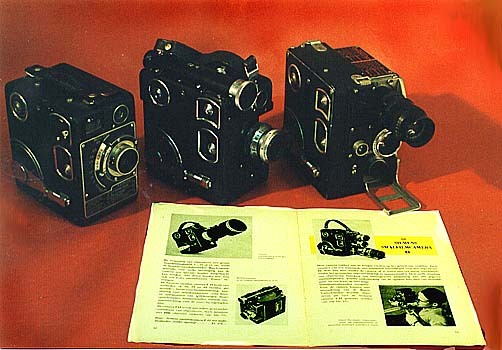 The first 16mm cameras.Cine Kodak model A and Victor introduced in 1923. 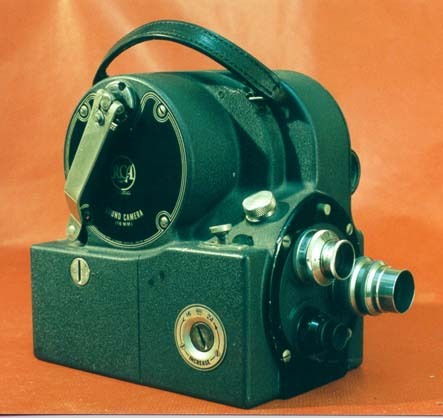 The Victor camera shown here is said to be the first 16mm camera equiped with an electric motor. Only about fifty of them were made by special order. 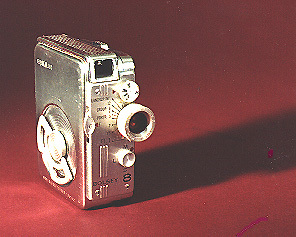 Kinarri 35mm camera. 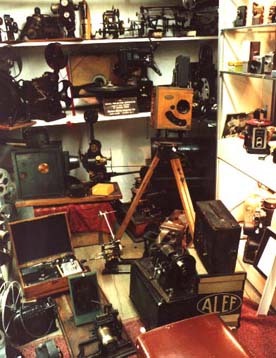 The first product of Arnold & Richter, famous for their Arriflex cameras. This one is of 1925. I found it after a twenty years' search! 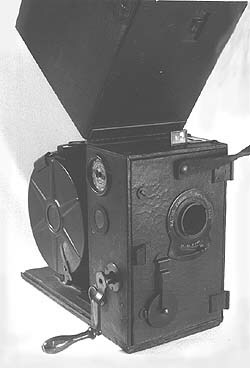 Geyer 16mm camera and projector (1926). 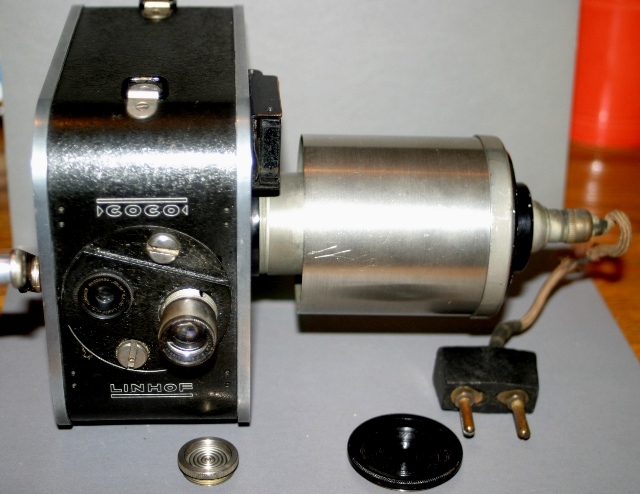 Quite rare this camera, driven either by spring motor, or by crank. 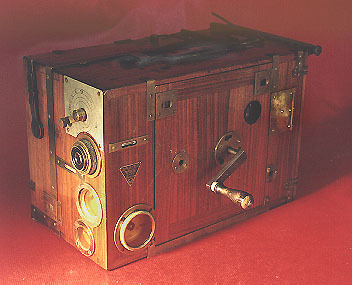 Campro 35mm camera/projector 1927. 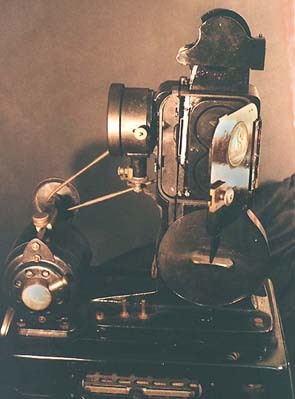 Besides projecting 35mm nitrate film, it could project also 35mm paperfilm by reflected light. 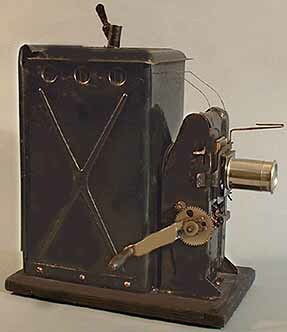 Kemco camera 1929, forerunner of Kodak's double 8mm film. 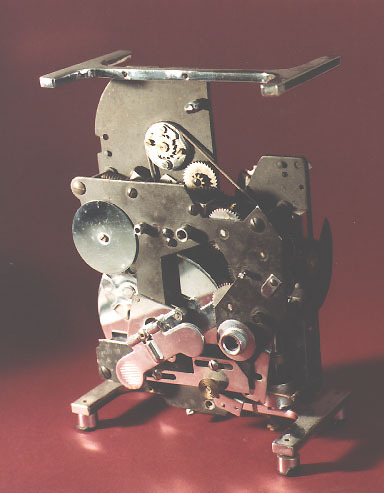 Only in Kemco's case four 8mm images were exposed on one 16mm frame by an ingenuous mechanism. 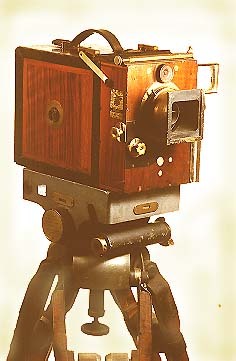 Marlo 16mm camera of the short-lived Marlowe Camera Co. of Chicago. A rare item as hardly any of them can be found anymore. 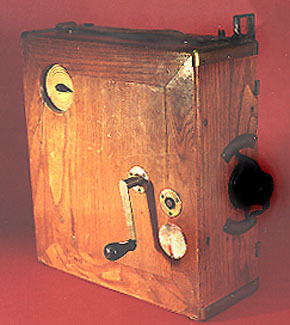 The world's first 16mm optical sound-on-film camera introduced in 1935. 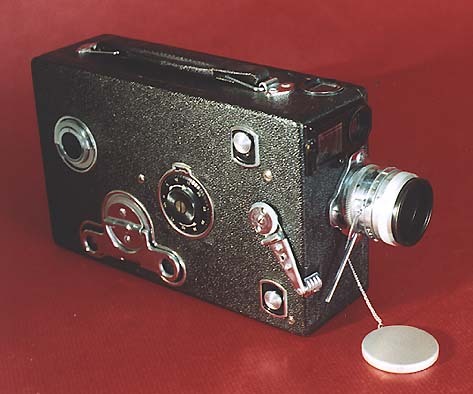 This may be the only known specimen of this prewar Japanese imitation of the Pathé 9,5 mm motocamera. Inside is an 'Eclat' cassette for 10 meters of 9,5 mm film with middle perforation. It bears # 20. I wonder how many more have been made by Rola K.N.W. Tokyo around 1929. It has an Exite 21mm lens # 204. Arrow model 50 16mm camera Dallmeyer f 1.8 lens 1934 , resembling Victor 16mm camera model 3, hardly ever used outside Japan. 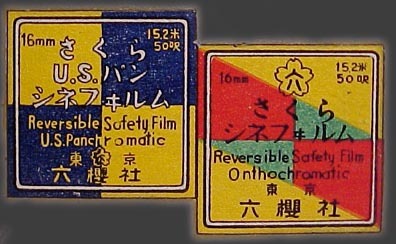 Manufactured around 1936 by Rokuohsha, Tokyo (now Konica). 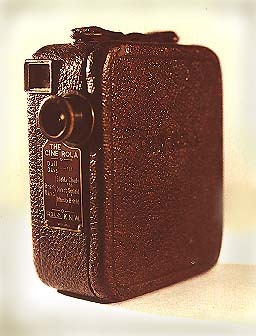 Though resembling Cine Kodak cameras it has added features as backwind crank and filter compartment. It bears no.1823. 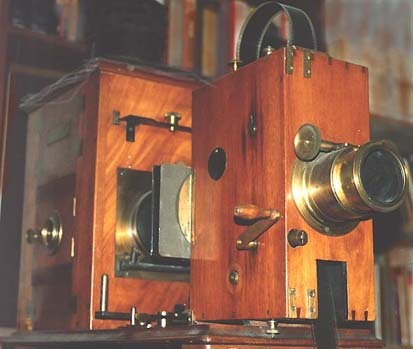 The lens is a Rokuoh-Sha Luminon no.733. 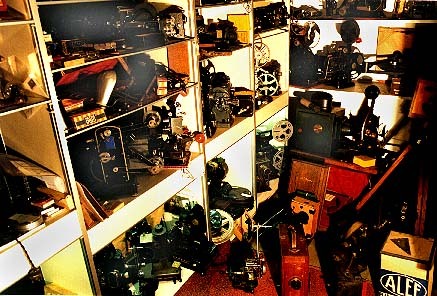 I have tried in vain to obtain any information from Japanese museums on prewar Japanese cine apparatus. 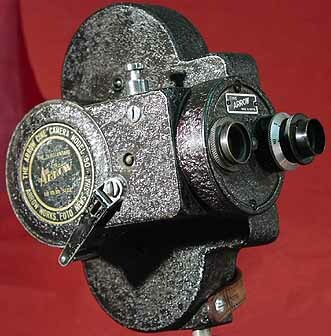 Introduced in 1934 in Great Britain for 9,5mm middle perforated film. 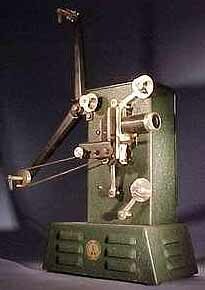 The rewinder and reel are hardly ever seen. 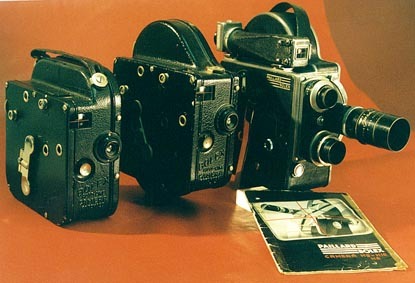 Auto-cine's: A1 of 1928, B3 of 1929 and H16(without focusing feature) of 1935. 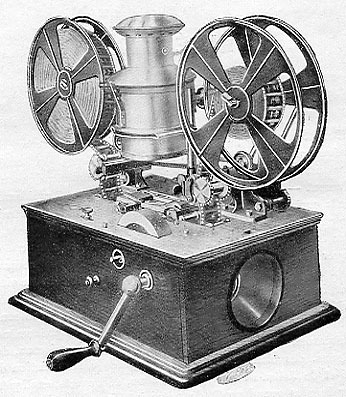 Matagraph 35mm projector of Levy, Jones @ Co. Ltd. London 1898. 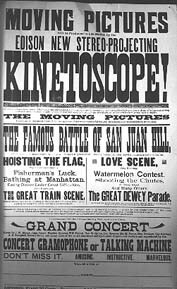 Edison 35mm Home Kinetoscope # K 3015, after 1902. 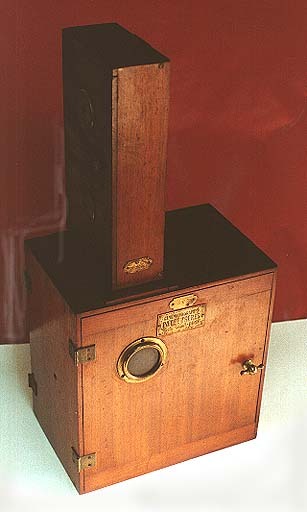 Edison 22mm Home Kinetoscope 1912. 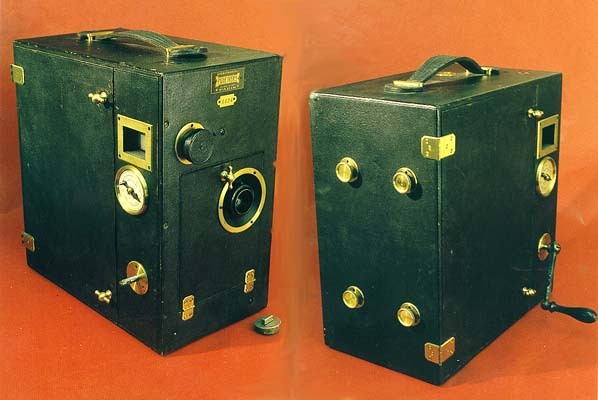 Manufactured in 1912 for uninflammable 22mm double perforated film with three rows of images. 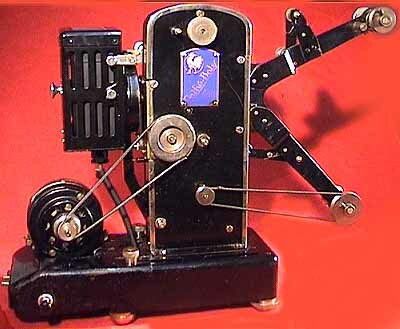 More about this projector and another view on my page One hundred years of filmsizes. 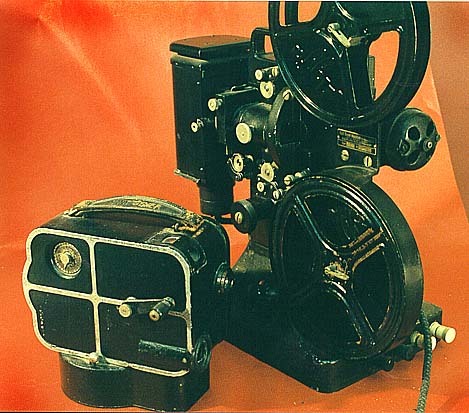 This 28mm projector was designed by Pathé' distributor W.B.Cook when imports from Europe came to a halt during WW1. 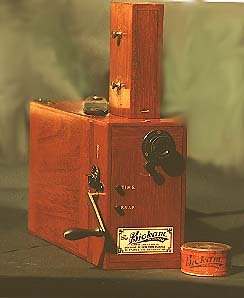 Ikonograph gas-burner(1914?) 17,5mm and electrical Keystone (1914? 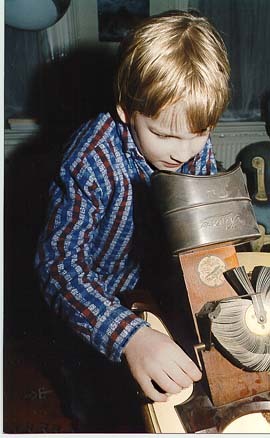 )28mm projector. 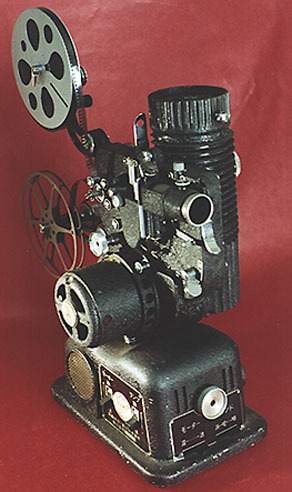 The rare Cinebloc projector introduced by Gallus in 1922 used double-sided perforated 22mm Ozaphan cellophane film. 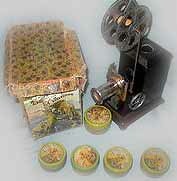 Lion Vitascope Japanese 35mm projector 1927?, came with prewar Disney films copied in Japan, most likely illegally! 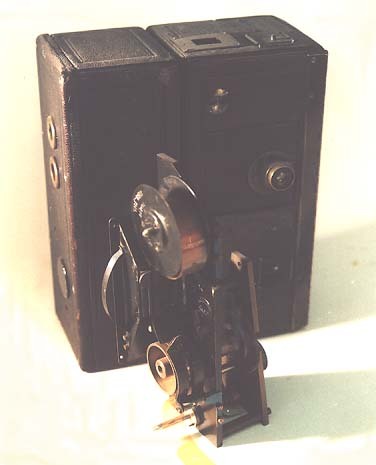 Refcy Japanese reflected light projector, beater movement for 26mm paperfilm, around 1930. 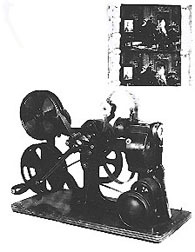 Pathé Natan 175 1933 17,5mm sound projector. 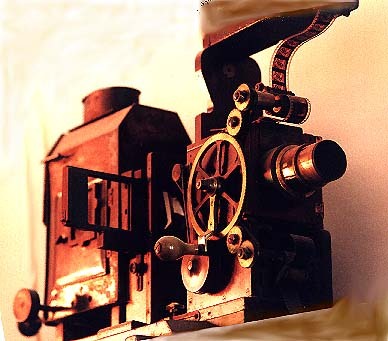 The gauge was abandoned in WW2, as the German censorship in France couldn't handle off-gauge filmformats. 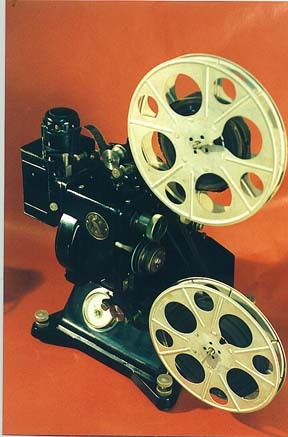 Many 17,5 mm projectors were converted to 16mm subsequently. 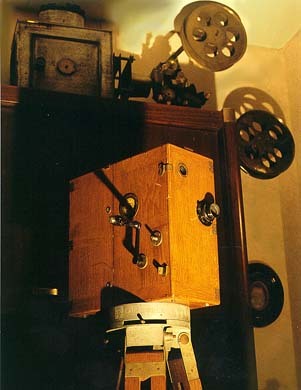 Keystone Supreme 9,5mm projector of around 1934. Although Keystone is a common name this particular 9,5mm model is quite rare. It was bought in Japan by a Frenchman who made a trip by steamer to the Far East in 1936 . It bears Japanese characters at the switch board. 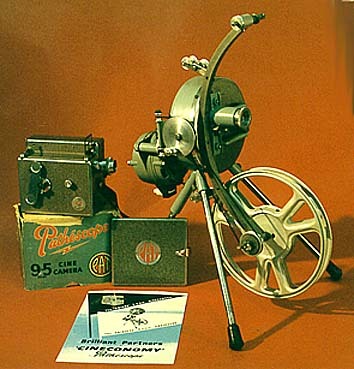 Pathé Coq d'Or Super 9,5mm projector of 1938 , few were sold during the depression. 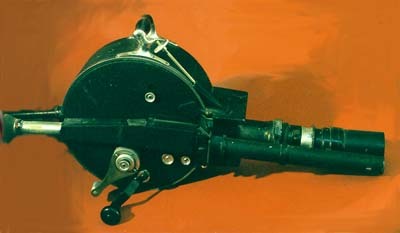 French Pathé Monaco projector for 9,5mm normal and 4 3/4mm widescreen film. 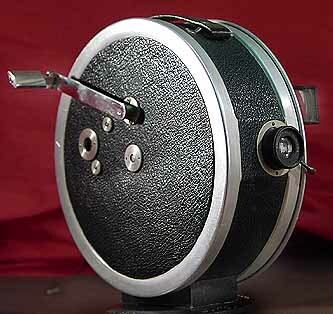 Pathescope Princess 9,5mm projector and Pat cameraThe Pat camera came out in 1953. 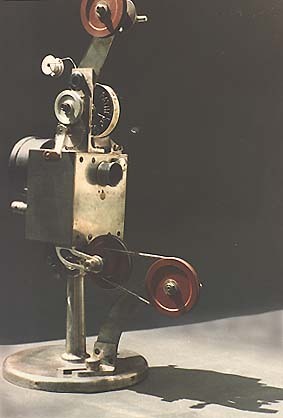 The Princess was the last projector made by Pathescope in 1959. 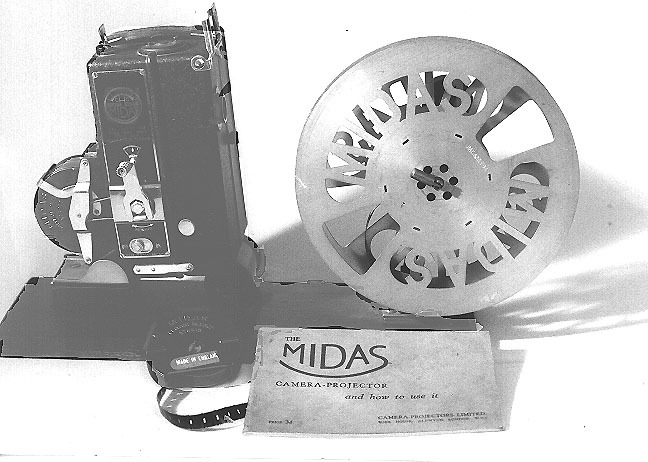 Experimental Spirograph-like celluloid disc for Aladdin special camera and projector that never went into production. Around 1920. 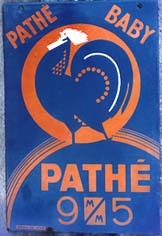 Pathé advertising sign of the twenties? Another sign of the late thirties? 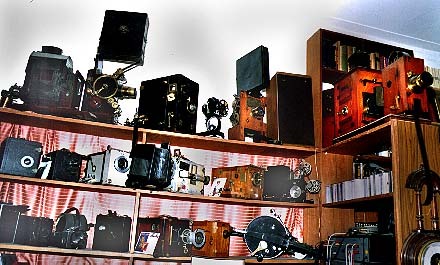 Watch this page as I intend to add more cameras of my collection. You can reach me by e-mail wichm@NOSPAMxs4all.nl after deleting NOSPAM from the address.